The character's from Disney's animated series Phineas and Ferb have been transformed into delicious bento boxes. The mark of a true bento box creator is their ability to take everyday foods and turn them into works of art. Susan Yuen is a master at making bento boxes and has even published a book on the subject, Hawaii's Bento Box Cookbook. 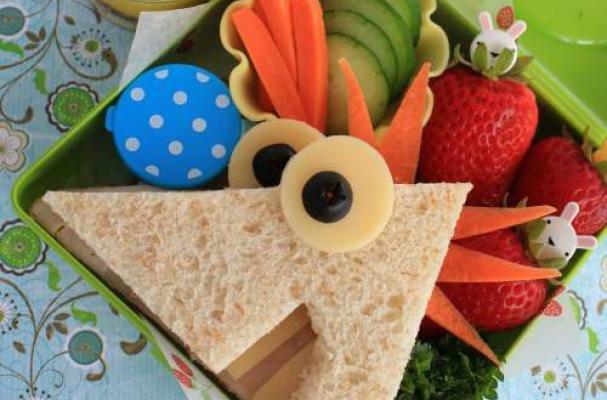 She has designed a series of bento boxes devoted to Phineas and Ferb using pantry staples like wheat bread, tortillas, cheese, olives, carrots and lettuce. These Phineas and Ferb bento boxes are a simple and fun project to do in your very own kitchen. Click through the slides to see Susan's bento box creations.